I have never told that to any of my patients! All systems in the human body are interrelated, which is why, when I analyze a patient’s issues, I always consider every aspect of their health. My training as an Internist allows me to use this approach because of my thorough understanding of human physiology. This is also why so many Specialists miss a diagnosis since, by nature, they only look at one aspect of health. 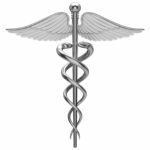 I have helped literally thousands of people over the years while practicing medicine. I started as an Internist, spent my share of time in the ICU as a Critical Care doctor, and for the last 15 years or so; as a functional medicine doctor. If you’re looking to improve your health and longevity which means preventing Alzheimer’s, cancer, autoimmune disease and focusing on heart health… I can help you. Click here now to learn more about easy and convenient phone consultations. Note: Many doctors prescribe antidepressants when they can’t think of what else to do. I always think everything through, and even if mild to moderate depression is an issue, I recommend treatment with natural products meaning no prescription drugs, just things that will make sense to you! I can help you regain youthful energy, sleep like a baby, and achieve all of your health goals. Interested in being an in-office patient? Turn your online relationship with me into a real-life concierge experience. Here is my medical practice website. 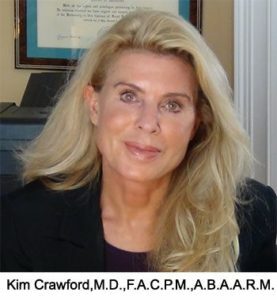 Kimberly W. Crawford, M.D., F.A.C.P.M., A.B.A.A.R.M. NBC, CNN : Syndicated through WPTV, WFTV and other NBC affiliates to over 250 NBC affiliates in the U.S. and Canada for 15 years where she delivered news reports, health shows and phone-in “Ask Dr. Kim” Q&A sessions with her audience which is where she got to be known to everyone as “Dr. Kim”. Owned/operated Medically Based Fitness Centers. 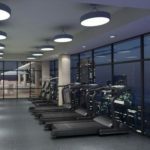 Created the model for Medically Based Fitness Centers for CMS (A worldwide Fitness Consulting Firm) with that same model implemented by many hospital chains. Medical Director Doral Telluride (now the Peaks) Spa where Oprah Winfrey came to shed pounds. 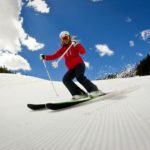 Decorating homes, windsurfing, paddle-boarding, rock-climbing, horseback riding, swimming laps, walking her collies on the beach and skiing. Dr. Kim Crawford is an Internist who long ago decided she preferred to prevent diseases rather than treat them with pharmaceuticals. Patients always tell her they want a better sense of well-being almost universally and that starts with weaning from pharmaceuticals a good part of the time. She, or “Dr. Kim” as her patients call her, has re-focused her career to become one of the top Functional Medicine doctors in the world, treating the rich and famous as well as people from all walks of life in her private practice. She decided to repeat her focus on disease prevention, treatment of things “ordinary doctors” can’t or don’t know how to treat, as well as “tuning up” the things that “happen with age,” which can be fixed despite what you may have been told. She is able to make this accessible and affordable to everyone through her natural health program that is available through AgeWell Solutions. “If your doctor has told you there are things that just happen with age so accept them, it just means that they have not kept up with the latest state-of-the-art advancements in medical science, and therefore cannot know that they are completely wrong! We are talking here about things such as: heart health measures to prevent coronary artery disease, brain health measures to prevent Alzheimer’s and any discernible memory loss, good cancer prevention measures, and so on. Dr. Kim makes it her mission in life to help everyone do as well as all of her private patients. They look and feel younger, are more vibrant, physically well, become healthy and stay that way. She created this program when she realized that she couldn’t accept more patients in her private practice due to time constraints. She decided that an online visit with her was just what most Americans needed. She still wanted her members to have a real medical experience with her. She strives to exceed the expectations and interactions people receive from their own doctors. She does this with self-assessment questionnaires, short webinars, info videos, informational handouts, as well as conference calls, in addition to her unique Q&A system where members can get their questions answered anytime by Dr. Kim and only by Dr. Kim herself. AgeWell Solutions has become a true family affair with Dr. Kim’s husband, Gilles, running the video work, proof-reading documents, and doing the technical work, instead of returning to his career as a Mechanical Engineer. 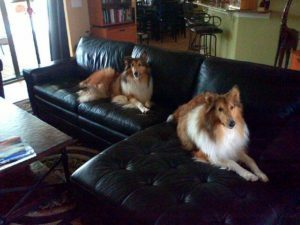 Plus their four rescue collies give team support and love. They appear in videos when you least expect them! It’s amazing how much dogs can decrease stress and improve life just by being there!